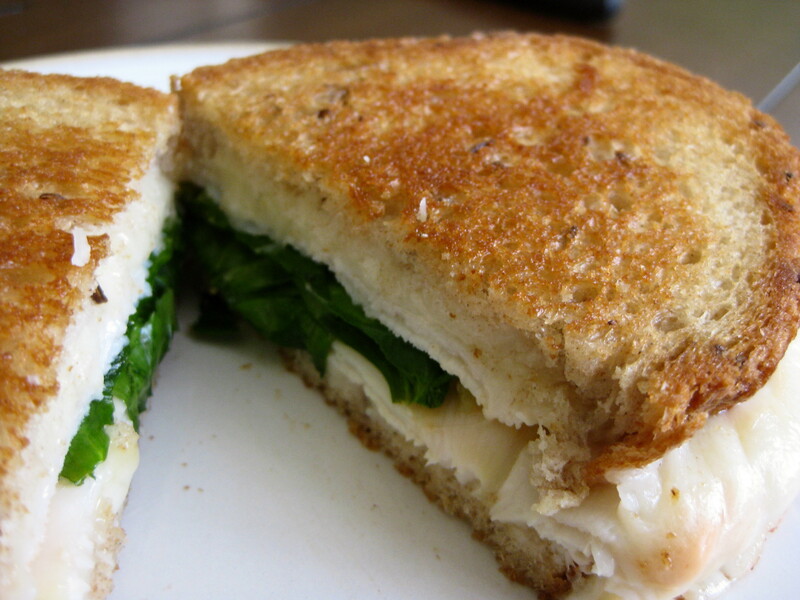 I had this great idea to turn the classic deli sandwich, The Rachel, into a grilled cheese. And then I remembered that I don’t really care for sauerkraut. And I’m not exactly crazy about Swiss cheese. So I substituted spinach for the sauerkraut and provolone for the Swiss, and I was left with a delicious grilled not-Rachel sandwich. The pickle-y-ness of the Russian dressing is not to be missed. Roast turkey, provolone cheese, baby spinach, and Russian dressing are piled high on caraway rye bread and grilled to perfect golden brown. 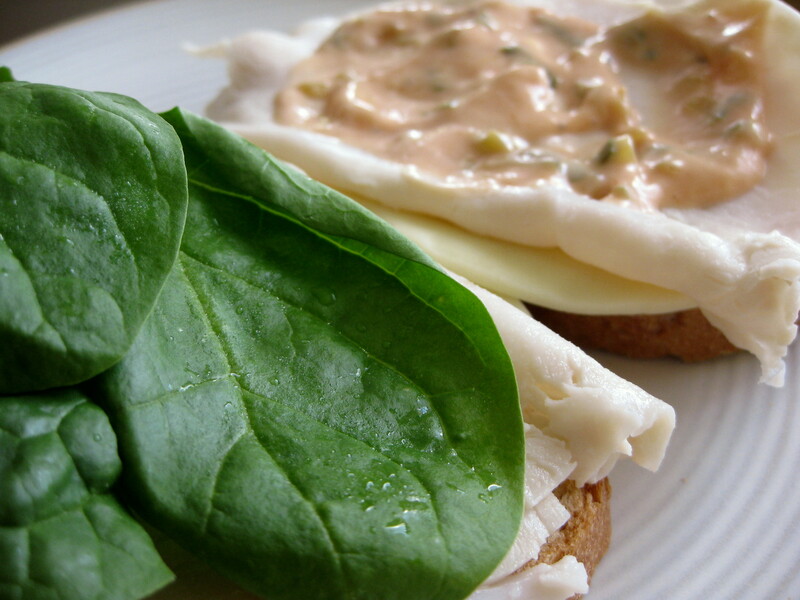 Top with turkey, spinach, and dressing.